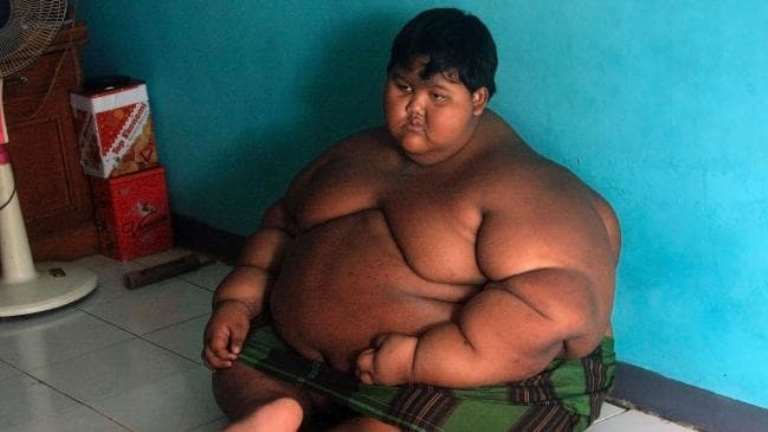 The world’s fattest kid has lost a whopping 101 kilos, leaving him with excess skin, but he says he is now happier than ever. 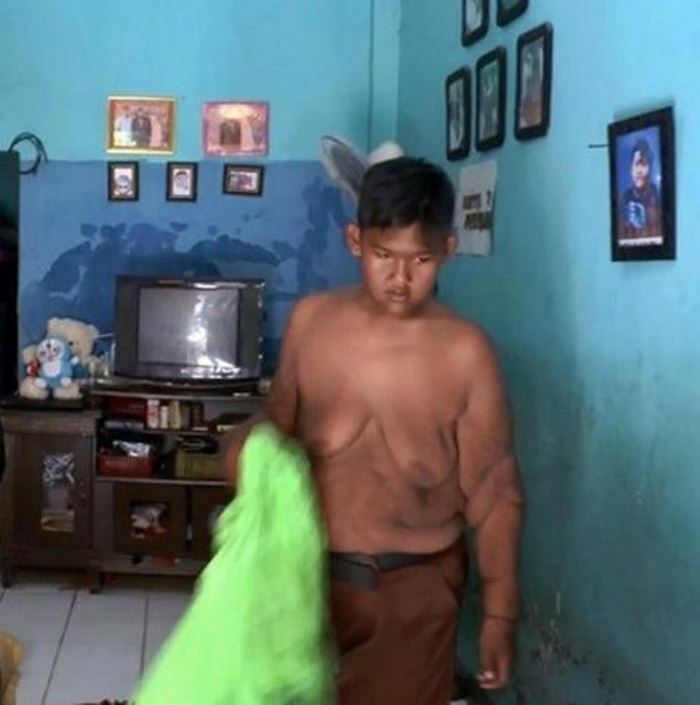 Arya Permana from Indonesia weighed over 190 kilos when he was only ten, making him the fattest kid in the world. 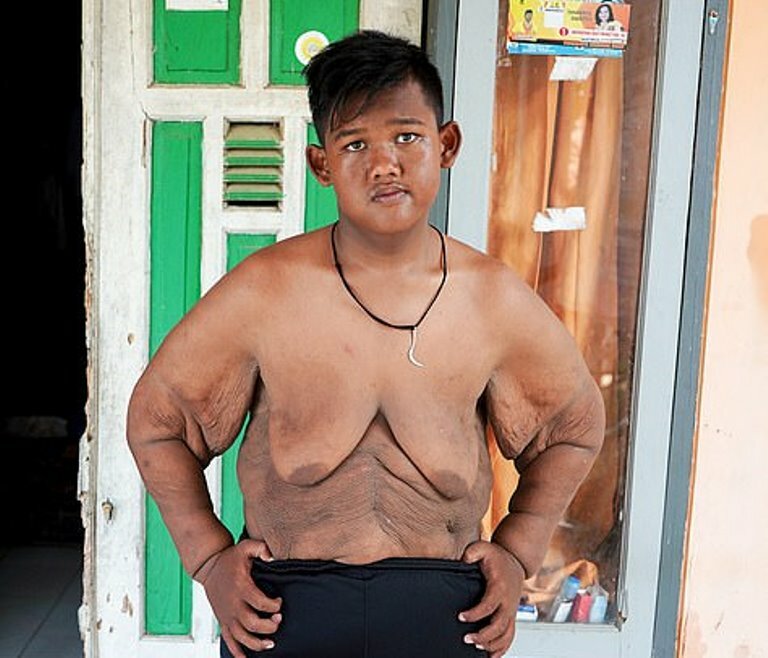 Now 13 years old, he weighs only 85 kilos and says he is happier than ever despite the horrendous excess skin. When he was at his heaviest weight, his normal diet included 6 packs of instant noodles, fried chicken and soft drinks. He became so fat that he was forced to bathe in an outdoor pool as he couldn’t fit in their bathroom. Arya was also homeschooled as he would be out of breath after talking 5 meters. 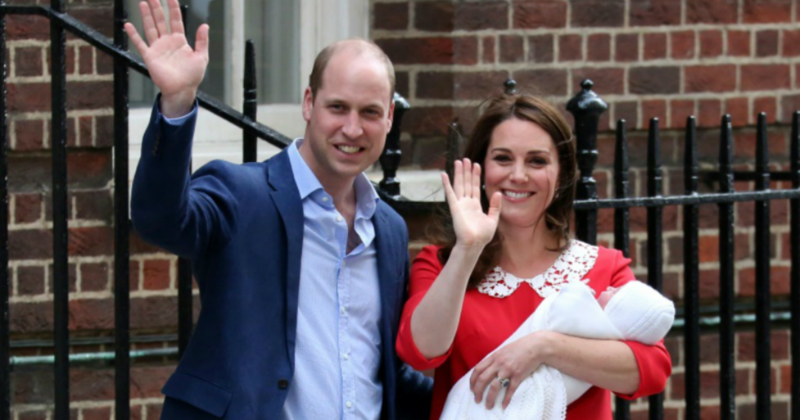 His parents tried to change his diet but admitted they spoiled him a lot. Arya’s father, Ade Somantri, told Barcroft TV: “Back in the day since Arya was five-years-old and already getting big I can say, ‘Yes I spoiled him’. Arya underwent gastric bypass surgery to help him lose weight. Now, he eats a diet rich in vegetables, fish, and fruits. He also walks one kilometer a day to school and enjoys playing sports with his friends.